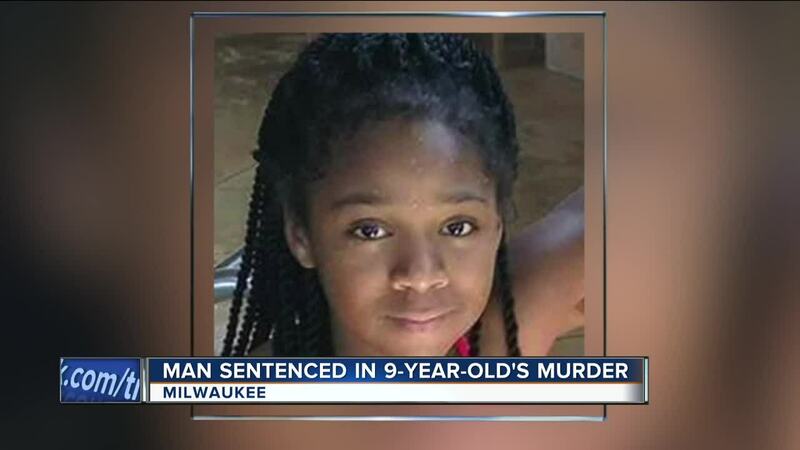 A Milwaukee man was sentenced Friday for the shooting death of 9-year-old girl Za’ Layia Jenkins. Tony Powell Jr. is one of three men charged in the May 2016 murder of Jenkins. It was a very emotional afternoon in the courtroom. Jenkins mother, Destiny Boone asked judge Mark Sanders to give Powell Jr. the maximum sentence for the role he played in her daughter’s death. “I miss her so much, and sometimes it’s so hard to get out of bed,” Boone said. Speaking in front of everyone in the Milwaukee courtroom, Boone spoke about what could have been for her daughter. “She can’t get up, give me a hug, she can’t help me, she can’t go to school, she can’t play, she can’t rap, she can’t have kids. It’s a lot of things that she can’t do,” she said. Za’ Layia was inside her aunt’s north side home watching TV in the living room when she was hit by a bullet from outside. "I miss her and I’ll never have her again and it’s hard,” Boone said. 25-year-old Powell Jr.spoke in court, denying he took part in the crime. “My condolences goes out to Za'Layia Jenkins and her family but I feel I’m being wrongfully convicted for something I didn’t participate in or commit,” he said. But Za ‘Layia's mother feels he should own up to his actions. Judge Sanders sentenced Powell Jr. to 41 years initial confinement with 20 years extended supervision. He has another trial for a separate case for first-degree intentional homicide beginning in three months.